Do you want to sell food and beverage to China? 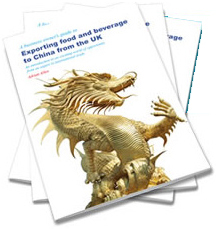 It is a very exciting time for UK companies to be entering China, particularly when it comes to selling food and beverage especially now that UKTI is committed to supporting manufacturers of all sizes in this sector. With a growing middle class who are eager to have a wide range of new experience, UK products have a great reputation for quality and safety. Selling food and beverage to China offers huge potential, but only if companies go for it and get the right guidance when entering the market. Business culture in China is very different from that of the UK but added to this there are issues relating to things like labelling, product testing, customs clearance and distribution, all of which make China a challenging place to do business. Whilst this all seems a daunting prospect, working with a company who already has this infrastructure can save you a lot of time and of course money. Yes bring it on British companies! I'm living in China in Qingdao (famous for it's beer) a 2nd tier city and there are two supermarkets full of imported goods within 5 minutes walk of my house. How many British goods can I find? very few. Apart from the ubiquitous Tyrrells crisps and a bit of Scottish shortbread it's all Aussie cheese, Italian biscuits and pasta, lots of German products. If you haven't exported to China it's a bit of a minefield. Someone like Adrian who has been doing Business China for well over a decade can give you some great advice and support. I met him a few times when I worked for UKTI and he knows what he's talking about, trust me. He most certainly didn't ask for this recommendation by the way! 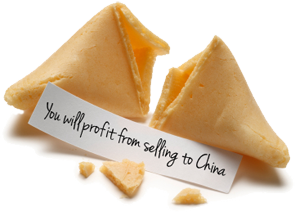 China's a tough market with a lot of potential but there are a hell of a lot of pitfall especially for people " off the boat " for a one week Trade Mission or exporting here for the first time. Use an experienced guy like Adrian and it will speed up your entry into the Chinese market. Please export more British products here to make us Brit expats proud of our good old British brands! FHW is a well-established food show franchise operating in most of the BRIC countries so it has a well established reputation. If you have been to a food show most organisers sell you the space and then it's up to you. FHW is different. As an exhibitor we offer pre exhibition market research where we match buyers and sellers. This is not merely sending out a catalogue. We actively promote your products and find companies who want to buy. At the show we accompany serious buyers to your booth and make the introductions. This way you know the people you are talking to are serious. Also such introductions are a great way to begin developing the relationships that you need to succeed in the market. But what happens after the show? How will you follow up on any enquiries? We do that for you! For full details of the FHW show CONTACT US TODAY. We make exhibiting in China really easy. We take care of pretty well everything, you just need to turn up!